Designating Jian Zhang a top drug trafficker allows law enforcement agencies to go after his financial interests around the world. The U.S. Treasury Department imposed sanctions Friday on a suspected Chinese drug kingpin and four associates who are accused of flooding the U.S. with fentanyl, a powerful synthetic opioid blamed for almost of third of the nation’s fatal overdoses. Jian Zhang was indicted in October as part of a joint U.S.-Chinese investigation into international drug trafficking and remains at large. But designating Jian a top trafficker under the Foreign Narcotics Kingpin Designation Act allows law enforcement agencies to go after his financial interests around the world. 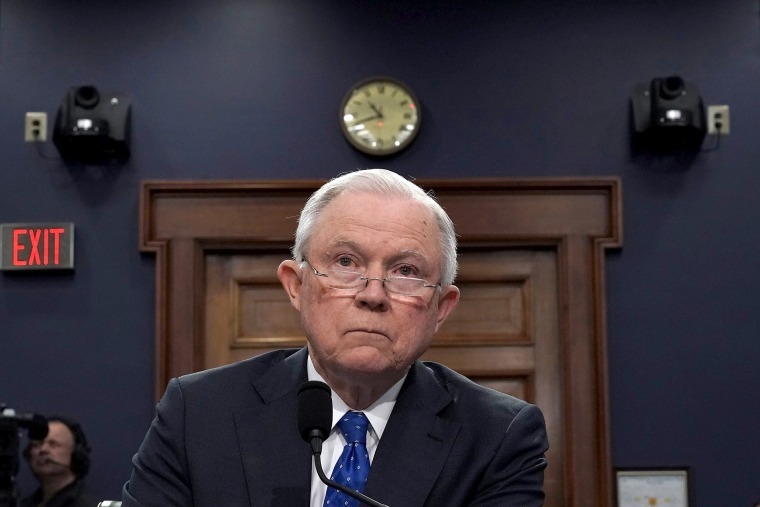 Attorney General Jeff Sessions echoed that in a speech delivered in North Dakota, where the investigation into Jian's alleged operation was sparked by the death of 18-year-old Bailey Henke in 2015. He died of an overdose of fentanyl that police traced back to one of Jian’s factories outside Shanghai. "Now, any assets in which they have an interest — either in the United States or in the possession of an American — must be blocked and reported to the Treasury Department," Sessions said. "This is the first time that Treasury has designated an alleged fentanyl trafficker for sanctions." Jian's chemical company is call Zaron Bio-Tech (Asia) Ltd. It is registered in Hong Kong and also produces food additives. Investigators believe that the fentanyl that killed Henke was shipped from that factory. Jian is also believed to be operating chemical plants in Vietnam, Thailand and Singapore. His four associates were identified by the government as Na Chu, Yeyou Chu, Cuiying Liu and Keping Zhang. They also remain at large. The feds have charged 32 people thus far with being part of an organization that has supplied a sprawling fentanyl distribution network operating in the U.S. and Canada. Most of the illegal fentanyl in the U.S. comes from China. Sessions said it arrives via the mail or is smuggled into the country across the border from Mexico.